Your vacuum system probably either has or needs a set of electrodes. Electrodes are used to connect the power from the feedthroughs to the evaporation source. Electrodes, if configured properly, can offer flexibility to adjust the spacing between your feedthroughs to accommodate different length evaporation sources. 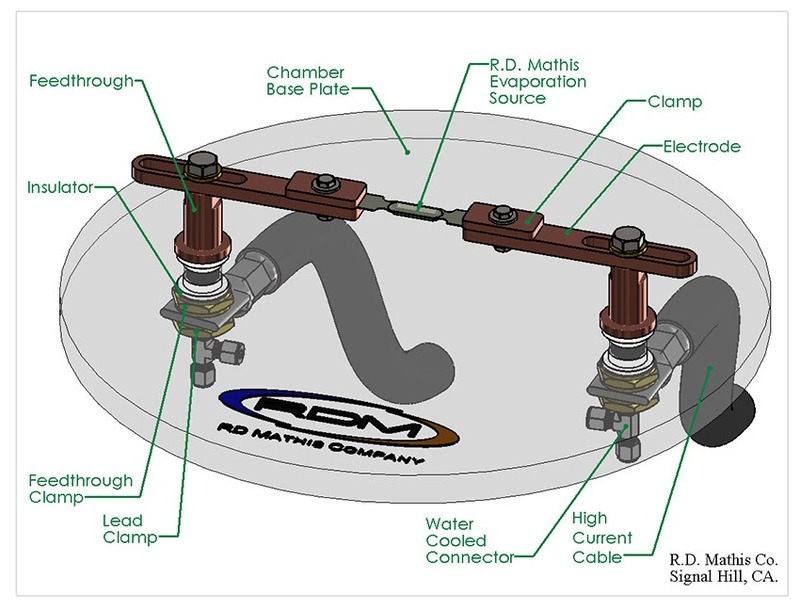 The R. D. Mathis Company manufactures these electrodes using the highest quality materials and processes to make your process successful and reliable. Custom sizes are available on request. Please contact or technical department to discuss what size will work best for you. As seen in the diagram below, we offer all of the components for completing your power delivery system with the highest quality and reliable products.